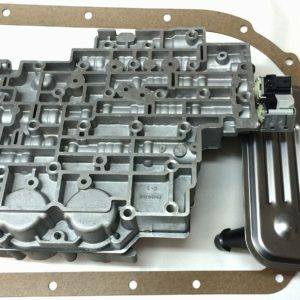 5R55W/S Re-manufactured Valve Body Assembly Complete READY TO BOLT ON OUT OF THE BOX! 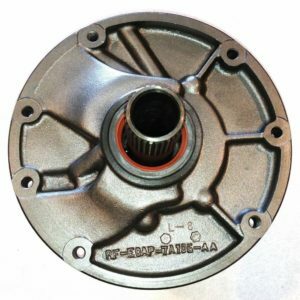 This Valve body is completely Re-manufactured by a PROFESSIONAL SHOP, which specializes in transmissions. This is the same valve bodies we use in our rebuilds transmissions that we sell. Includes everything needed to install the valve body. This kit is meant for an Explorer/Mountaineer/Aviator/Explorer sport 2002-2010. Please check compatibility to confirm. Some common complaints associated with a 5R55W and 5R55S are high TCC slip RPMs under increasing loads, slip codes, and converter apply or release concerns. 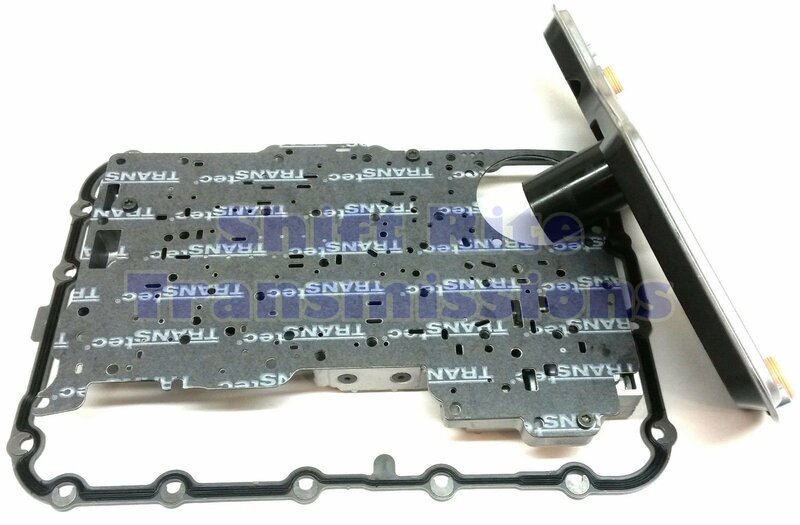 These complaints are often caused by wear at the ID of the TCC modulator plunger valve sleeve, due to constant oscillation by the pulse width modulated TCC solenoid. This plunger valve positions the TCC modulator valve, which feeds line to the apply circuit, which controls slip rate. Wear of the sleeve will allow the TCC slip rate to continue to rise, and could prevent full lockup. The Sonnax assemblies restore hydraulic integrity to the TCC solenoid circuit with precisely toleranced parts. The elevated modulated pressure will not raise apply pressure to the point of TCC piston fatigue, and will result in firmer TCC apply and reduced slip RPM in heavier use applications. WE HONOR ALL PRODUCTS WE SELL, IF YOU ARE UNHAPPY WITH AN ITEM FOR ANY REASON EMAIL US WITH THE INFO AND WE CAN EXCHANGE FOR AN REPLACEMENT ITEM, WE ASK THAT THIS BE DONE WITHIN 14 DAYS OF THE PURCHASE DATE. 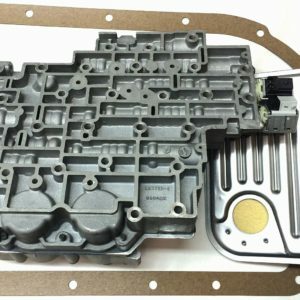 RE-MANUFACTURED VALVE BODIES HAVE A LIFETIME (EXCHANGE) WARRANTY, HOWEVER YOU MUST KEEP YOUR RECEIPT AS EBAY ONLY KEEPS RECORDS FOR 90 DAYS! ALL ITEMS ARE SOLD AS-IS NO REFUNDS! NO REFUNDS ON ANY ITEMS THAT HAVE BEEN UNPACKAGED, HOOKED UP OR USED IN ANY WAY. NO REFUNDS ON ANY USED PARTS. 20% RESTOCKING FEE ON ALL UNUSED PRODUCT RETURNS, ANY PRODUCTS THAT HAVE BEEN USED/INSTALLED CAN ONLY BE RETURNED OR EXCHANGED. IF FOR ANY REASON A PRODUCT IS RETURNED A 20% RESTOCKING FEE WILL APPLY. PLEASE READ ABOVE INFO WARRANTY INFO. ORIGINAL SHIPPING COST WILL NOT BE REFUNDED IN ANY CASES. CUSTOMER RESPONSIBLE FOR SHIPPING COSTS ON RETURNED ITEMS.